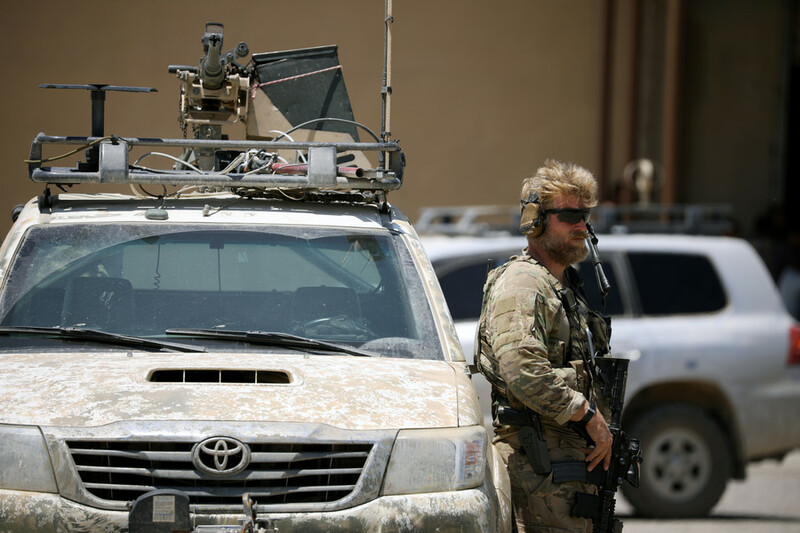 While President Trump has reiterated his intention to withdraw troops from Syria, the US military is reportedly working on plans to send an additional contingent to secure a foothold in the north of the war-torn country. "I want to get out, I want to bring the troops back home, I want to start rebuilding our nation," US President Donald Trump said Tuesday during a news conference at the White House with leaders of the Baltic nations, noting that the "primary mission" of defeating the Islamic State (IS, formerly ISIS) terrorists in Syria is "almost completed." Promising to make a decision on the pullout "very quickly," the president noted that the US gained "nothing out of $7 trillion" spent in the Middle East over the last 17 years. "It's very costly for our country and it helps other countries a hell of a lot more than it helps us." While reiterating his resolve to withdraw 2,000 US soldiers from Syria, first mentioned in Ohio last week, Trump hinted that the US might be willing to stay in Syria if its Middle Eastern ally, Saudi Arabia, pays for US troop deployment. A continued US presence in Syria was reportedly discussed between Trump and Saudi Crown Prince Mohammed bin Salman, who is wrapping up a three-week US tour which began last month. The Gulf kingdom sees the US presence in Syria as the main bulwark against Iranian influence in the region. "Saudi Arabia is very interested in our decision," Trump said Tuesday. "And I said, well, you know, you want us to stay? Maybe you're going to have to pay." Trump's assessment of the US presence in Syria does not seem to line up with with the Pentagon's analysis. "A lot of very good military progress has been made over the last couple of years, but the hard part, I think, is in front of us," General Joseph L. Votel, head of US Central Command, noted Tuesday at the US Institute of Peace. General Votel explained that the US presence in the northern part of the country will play a crucial role in "stabilizing" Syria, while "consolidating gains" and "addressing long-term issues of reconstruction." 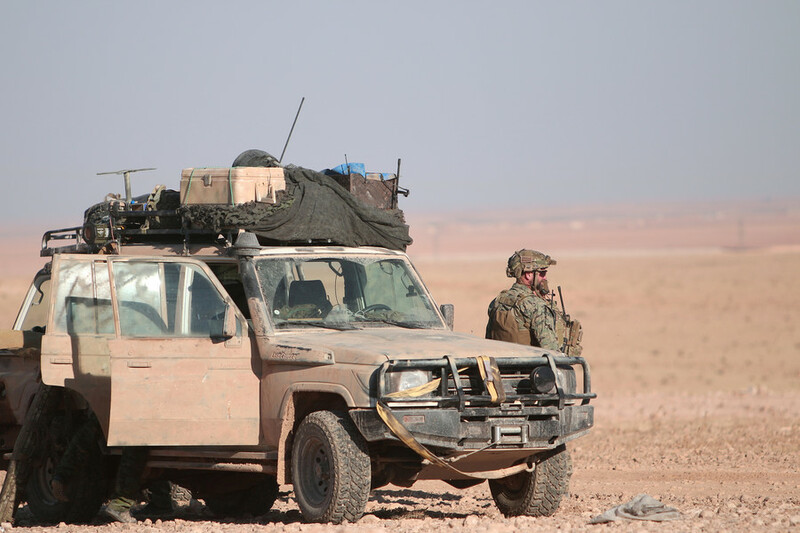 At the same time, Votel acknowledged the lack of support by the Kurdish-dominated Syrian Democratic Forces (SDF), which has abandoned its US-mandated positions in Syria to repel the Turkish-led operation in Afrin. 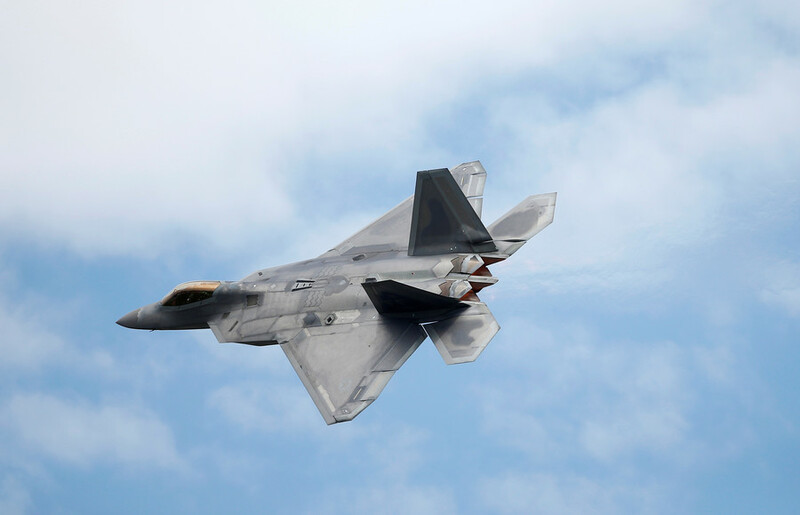 The general noted that the US is "going to have to look at the ways that we keep the pressure on ISIS and continue to develop mechanisms on the ground that help us de-escalate the situation" in Syria. "We're in Syria to fight ISIS. That is our mission, and that mission isn't over, and we're going to complete that mission," the special envoy to the Global Coalition to Defeat ISIS, Brett McGurk, added to Votel's remarks at the US Institute of Peace. 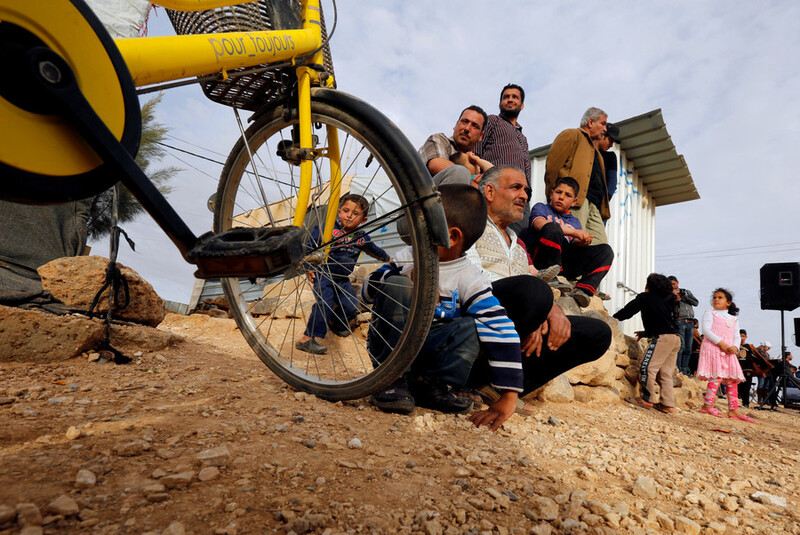 In recent weeks, however, the US military has focused its attention on the northern Syrian city of Manbij, where its Kurdish allies have come under attack by pro-regime and Turkish forces. Manbij was taken by Kurdish YPG/YPK militias in 2016, with the help of US-led coalition airstrikes. Turkey, which has been fighting against Kurdish militias in Afrin since January, now plans to extend its operations east to Manbij if Kurdish forces refuse to vacate the city. 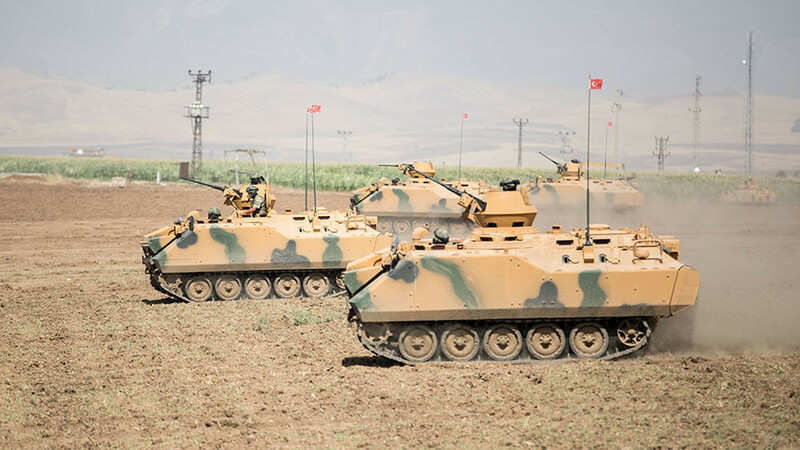 Amid rising tensions in the region, Anadolu News Agency reported that the Pentagon is setting up two new outposts in the Manbij region to aid the Kurdish forces on the ground against a possible Turkish-led advance. According to "trustworthy local sources," around 300 US troops in armored vehicles have already arrived in the frontline zone along with construction material to set up a base 8km (4.9 miles) from Sajur River, "which forms the frontline between Jarabulus, the Euphrates Shield area, and Manbij, the YPG/PKK invaded area." The other base is allegedly being built 4km (2.4 mi) from the frontline, south of Dadat, the report added. 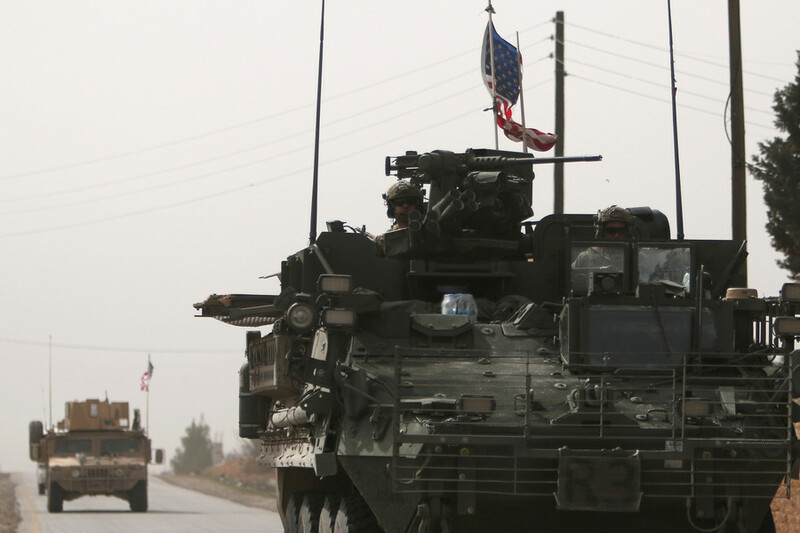 The Anadolu report came out a day after CNN learned that the US military has been working on plans to send dozens of additional troops to northern Syria. Ankara launched Operation Olive Branch in northwestern Syria three months ago after the US announced that it was planning to support the predominantly-Kurdish militia force, the SDF, with training and weapons. 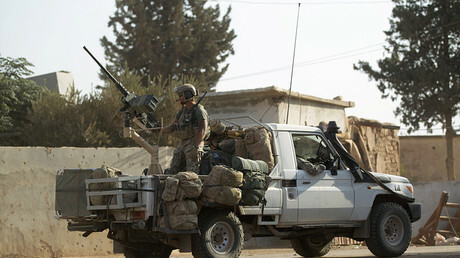 The Turkish government considers Syrian Kurdish militias an extension of a domestic militant movement, the PKK, and has repeatedly asked the Pentagon to end its support for the Kurds. Damascus has consistently opposed both the US and Turkish military presence, saying the deployments are a breach of Syria's sovereignty. Syrian President Bashar Assad has referred to the foreign troops as "invaders." 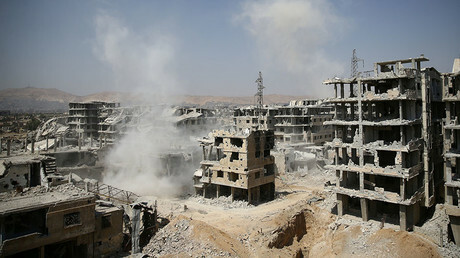 Russian Foreign Minister Sergey Lavrov warned last month that the US seems to be planning to stay in Syria for a long time to "disintegrate the Syrian state" under the pretense of fighting terrorism. The US strategy, Lavrov noted, aims "to cut a huge chunk of Syrian territory from the rest of the country while setting up puppet local authorities in that area and trying in every way to establish an autonomous entity under Kurdish authority."